How Long Should Your Hearing Aid Last? There is no definitive lifespan for hearing devices, however, most hearing aids need to be replaced approximately every three to five years. It is important to remember the lifespan of your aid will depend very much on how well you care for it, how regularly it is serviced and how much your hearing needs may or may not change during the time you use the device. Some models of aid will require servicing more regularly than others. For instance, if your aid uses tubing, this should be replaced about once every six months as it will start to become stiff or the connections may loosen. Being aware of the specific care requirements for your device will help you to get the best possible performance for the longest possible time. When choosing your aid, be sure to go over how best to care for it with your audiologist or hearing care provider. Regular servicing is the key to keeping your aid in good working order. It is important to remember that your hearing aid is worn on your body and therefore exposed to the elements and subject to wearing out as much as any other item you wear. Exposure to rain, sunlight, temperature changes, dirt and dust can all affect the function of your device. How often you will need servicing or repairs depends very much on your lifestyle. Regardless of the type of aid you use, at least part of the device is housed inside your ear canal where it will be exposed to moisture and ear wax. Consequently, it is very important that you clean your hearing aids daily and keep on top of your ear hygiene. You may find that you are particularly prone to earwax build up and therefore your device requires servicing or repairs more often, or you may be lucky and have fairly dry ears, meaning you may only need a service once every 12 to 18 months. All of these factors combined will determine just how long your hearing aid will last. The underlining point is to keep track of your hearing aid’s performance; how well is it meeting your hearing needs in comparison to when you began using it? 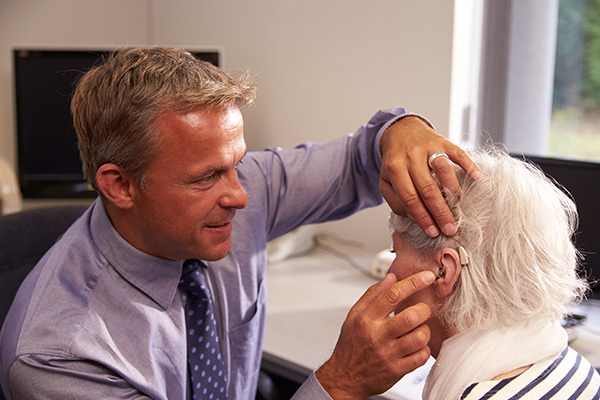 A gradual decline in performance could indicate a need for repairs, or that you need to reassess your hearing needs with your audiologist. If your aid is over five years-old and is requiring increasingly more regular servicing, it may be time to consider purchasing a replacement. Many manufacturers stop producing replacement parts for out of date models; this could mean that your aid is being repaired with used parts, and could explain them wearing out more quickly. Whatever your concerns may be, always discuss them with your hearing care practitioner before rushing out to purchase a new aid. As ever, it is of primary importance that the device you use is the best possible model and in the best possible condition to fulfil your needs.